Concrete mixer in construction site and factory, it has different size and models. Nowadays, with the increasing supporting equipment, the widespread use of concrete in construction has become a major driving force for concrete mixers in industrial development. In addition to knowing the concrete mixers, there are still some necessary skills need to know in selection of concrete mixing machine. 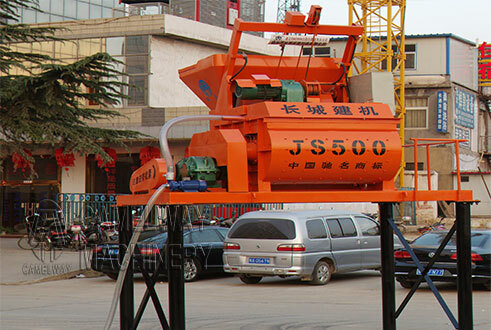 There are many kinds of concrete mixing machines, and mainly are self-loading type, forced type and other models. Due to the size of concrete equipment is large, pay more attention to the selection of foundation when place it. The foundation is not the deeper, the better. We need to place machine according to the drawing. Small concrete mixers should be placed in a flat position; the rotational direction of the mixing drum shall be consistent with the direction of the arrow. After using, remove the excess material. If necessary, wash the machine with water. Another point, choose the concrete mixer according to project volume and duration of the project which can help us ensure the high working efficiency and will not harm the machine. In the daily use of concrete mixer, pay attention to the maintenance of concrete mixer. If you have any other question, contact us freely. We will provide you with the best service.